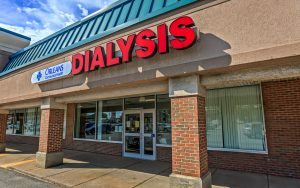 The specialized expertise needed to help kidney patients is close by at Lake Plains Dialysis Centers in Batavia and Medina – two centers that rank among the top 20 in the country in effective dialysis outcomes. Two of the region’s top nephrologists (kidney specialists) provide direct supervision of each center for patients from Orleans, Wyoming, Monroe and Niagara counties. special equipment that removes extra water, wastes and chemicals from the blood stream. A licensed nurse closely monitors the treatment process and is available to answer questions. Staff also work closely with each patient’s doctor. When indicated, patients are referred to Rochester or Buffalo kidney transplant centers for evaluations by transplant teams. The Lake Plains Dialysis Centers are open Monday through Saturday from 6 am to 5 pm, offering a generous range of times for treatment. The Batavia center also has evening hours. The Lake Plains Dialysis Centers have free parking adjacent to the centers for easy access. Both centers are also on the ground floor level, affording easy access for people with walkers, wheelchairs or limited mobility. 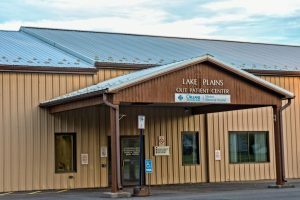 Unlike many dialysis centers that restrict visitors, the Lake Plains Dialysis Centers allow visitors to accompany the patient. The centers only ask that people not visit if they have colds or are ill.